Leinster's first big test of the season. Dragons on a lengthy one game winning streak. Should be a humdinger. (I'll post teams when I find them). I have a feeling Leinster will splutter this season. The common man might get his pound of flesh a good few times before the season ends. Jackman is looking prettier than usual so he must be confident. For me as a Dragons fan this is about damage limitation, as much as it saddens me to say so. We’re notoriously shocking away from home and, as of the past 3 or 4 seasons, pretty shoite at home too. But away we just tend to fold. On paper this should be a drubbing. So I just want to see signs of progress. I’m not looking for a win as a sign of improvement or progress. I just don’t think that is anywhere near to happening. But what I’d like in inevitable defeat is no capitulation. We sometimes give teams a game for x minutes and then, when we go a few scores down, that’s it the flood gates open and it quickly becomes 50 points conceded. The opposition then take some players off to rest them, we get a late try or two, and the scoreline flatters us a bit. So for me, progress will be going a few scores down but somehow changing whatever it is we’re doing to allow the opposition to score and weather the storm. Just keeping the score respectable and not giving up after 50mins would be ace. Getting an LBP would be hugely positive! Dragons last away win in the league was against...... wait for it...... Leinster in Feb 2015. On the one hand that is truly awful (from a Dragons point of view - 3 years without an away win!). Worse than awful. But on the other........ we're coming for ya Leinster!!! Cronin, Bent, Dooley/Furlong, Molony, Doris, McCarthy, Reid, D Kearney. Last season we threw our away games in Ireland and Jackman was rightly pilloried for it, so surely - surely - our first team will give them a game at least. 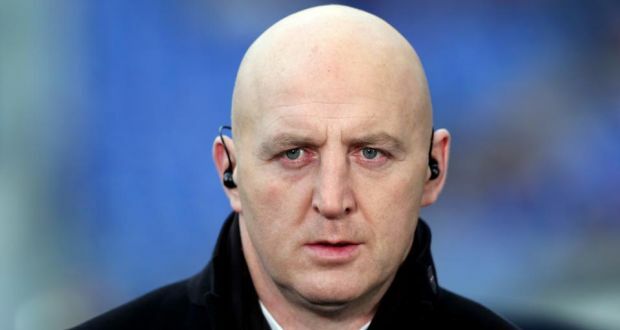 We're sure to concede tries, because our defence coach isn't up to much and we couldn't afford to have Shaun Edwards as a consultant, but even so I just want us to make them work hard for their scores, and for the win. Even Dragons fans have pride! Same team for Bernie O'Jackman this week you reckon? I'd have thought so, minus Tyler Morgan. Stone Motif wrote: Same team for Bernie O'Jackman this week you reckon? He's said as much, I'll be disappointed if not. Incidentally, the Ospreys have made 12 changes for their trip to Cork. Bit daft, Munster seem beatable at the moment. Am I missing some sort of irony in you posting Christian Cullen as Leinster's head coach? mikey_dragon wrote: Am I missing some sort of irony in you posting Christian Cullen as Leinster's head coach? Humour, not irony Mikey. And that’s not a pic of Jackman either in case you’re wondering. Again, humour. Just try it to lighten the mood. I had to look again then, I thought it was just Jackman having a day but upon tenth glance it's potato head himself! ^^^ WOL fawner/LD imitator is back. Surprised you're not reposting that rag. First home game for Leinster. His name is Bernard Jackman. Do you think calling him O’Jackman is funny or makes him more Irish sounding? Any different to adding ‘boyo’ to stuff linked to welsh men (not you but people)? Oh I think it's a toy term for brotherly rivalry Pot. Irish v Welsh - it's been a good game for the last decade or so. Some take it way too seriously (even ever placid me at times ) Others just play around with it and just enjoy the banter. I don't see much boyo stuff in 606 though yet even I admit to playfully doing the O' stuff - mainly to jab at PhilBB . Always own the insult is my mantra. I wouldn't engage with this idiot. He'll only drag you down to his level and beat you with experience. Gibson Park over for his second at the RDS. 38-3 after 58 minutes. Followed by a scintillating run from his own half by the Dragons 15, Williams as he speeds over to score. RDS applauds - lovely try. And Furlo gets his first of the season at home after grabbing a high pass from Gibson Park. 45-10. I know dragons are losing but seem to be giving everything. Just not the skills. The Oracle wrote: For me as a Dragons fan this is about damage limitation, as much as it saddens me to say so. We’re notoriously shocking away from home and, as of the past 3 or 4 seasons, pretty shoite at home too. But away we just tend to fold. On paper this should be a drubbing. So capitulation it was then! Cheers Oracle. Pity it wasn’t more of a contest. I like that full back of yours, Williams. It’d be nice to see him progress. Yeah, he set the Jnr World Cup alight a few years back but couldn’t really get a good run of games in the Scarlets team (Liam Williams at 15 and decent wingers ahead of him). Went to Bristol for a while and we've enticed him back. Dangerous runner and on paper part of an exciting back 3. It’s just proving difficult to get them the ball or get them in good positions to strike! Nic Cudd had a great game, think Leinster would have been out of sight after 20 minutes if it wasn't for him. But you can't defend and disrupt for 80 minutes. Jackman surely must go now, having devalued the game by picking the side he did to excuse the inevitable loss he can't pretend that the team is any better off now than last term. Pie wrote: Jackman surely must go now, having devalued the game by picking the side he did to excuse the inevitable loss he can't pretend that the team is any better off now than last term. What the actual feck are you on about? Not sure what Pie is on about but Jackman should go. He was brought in to improve the Dragons and he hasn't done that. Three matches in after pre-season is enough, teams should be hitting the ground running. We just look very poorly coached. 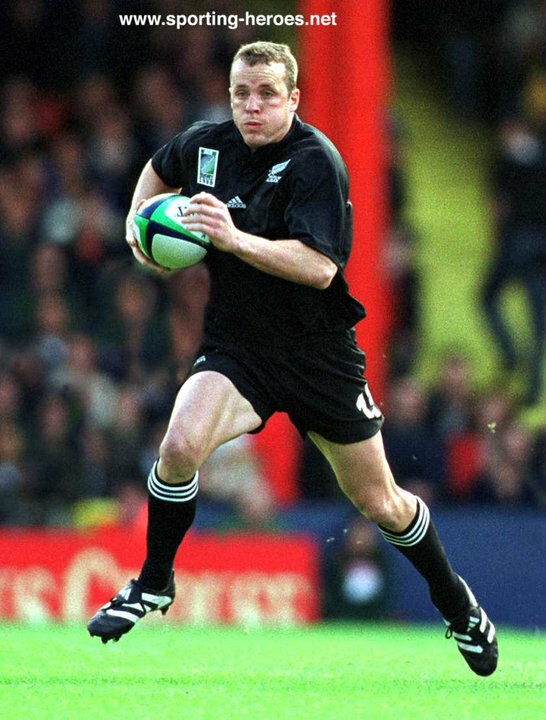 WRU should bring in some coaching class from NZ for the Welsh regions minus the Scarlets who already have theirs. He didn’t pick a weakened side. Which side would you have chosen then, genius? You could argue for a few players, but I’d say they’d be marginal calls: Nansen over Screech for more power perhaps; Griffiths over Cudd for the former’s open field play (but Cudd is arguably the better at slowing them down and got good reviews on his showing yesterday); Brown instead of Fairbrother maybe. But they’re not significant upgrades. For me they are not deliberate attempts to send out a weak team. The Oracle wrote: You could argue for a few players, but I’d say they’d be marginal calls: Nansen over Screech for more power perhaps; Griffiths over Cudd for the former’s open field play (but Cudd is arguably the better at slowing them down and got good reviews on his showing yesterday); Brown instead of Fairbrother maybe. But they’re not significant upgrades. For me they are not deliberate attempts to send out a weak team. No, they're incompetent attempts to recruit and select an average team. If we want big carriers then we still need locks, then move Nansen to 6. We'd also need a fly-half that's more consistent than Lewis and less injury prone than Henson, along with a new coaching team.